Charming house in central Portsmouth welcomes individuals, families with children, groups and their pets accommodating up to 7 (plus more if using air mattress). Free back garden parking, wifi, garden, barbecue area and more. 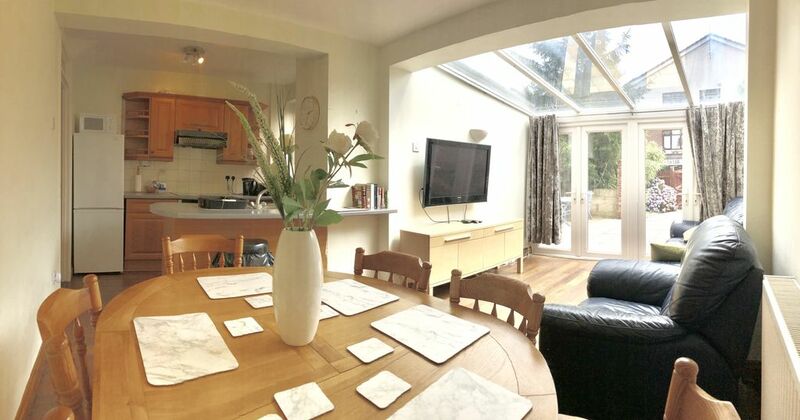 Traditional four bedroom house in central Portsmouth with private garden. The house is decorated with a mixture of boutique and new furnishings creating a homely feel. Through the entrance, the hallway leads to a ground floor double bedroom. Further down the hallway, you will find a well-equipped kitchen and spacious lounge area. There is also an outside toilet which is perfectly usable (we are planning to incorporate it into the house later this year). Upstairs is the main bathroom with a shower over the bath, sink and a toilet. There are a further two double bedrooms incorporating an elegant flower theme creating relaxed atmosphere. Lovely large house. Great parking and access. Local amenities close by.